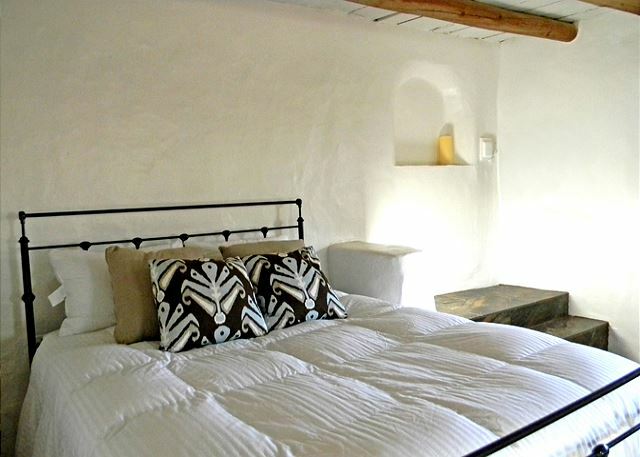 Adobe Hacienda Cottage, also referred to as "Casita" in Spanish, is attached to the 18 inch thick adobe walled main house allowing no sound to make it through this incredible sound barrier. 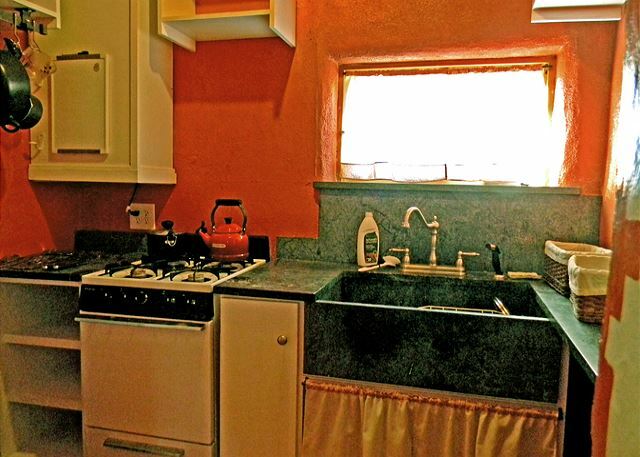 The efficiency kitchen with sink and apartment size stove and fridge offer convenient in house meal preparation with a pass through window from kitchen to dining area. 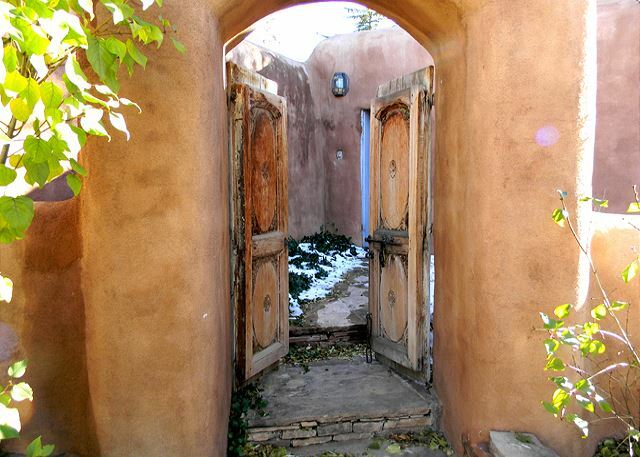 A small "adobe wall enclosed" walkway offers a buffer and privacy from the outside world and leads to the front entry door which is 3 steps above the sunken living room. Meaning once inside, there are 3 steps down into the living room. 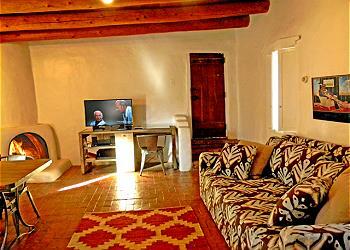 Once in the living room guests can not miss the super-sized extra deep very comfy sofa which is great for lounging and can also comfortably sleep one additional adult. 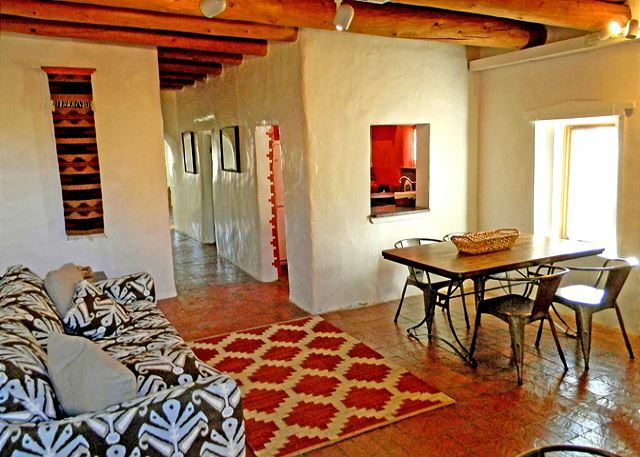 An authentic historic hand crafted candle burning "Kiva fireplace" adds serene ambiance to the large great room (living room) along with flat screen satellite TV and dining table. 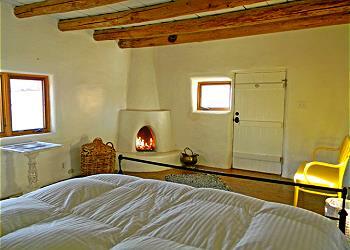 The large queen bedroom with authentic southwest viga (log) ceilings and candle burning "Kiva fireplace" offers a quiet, romantic getaway. 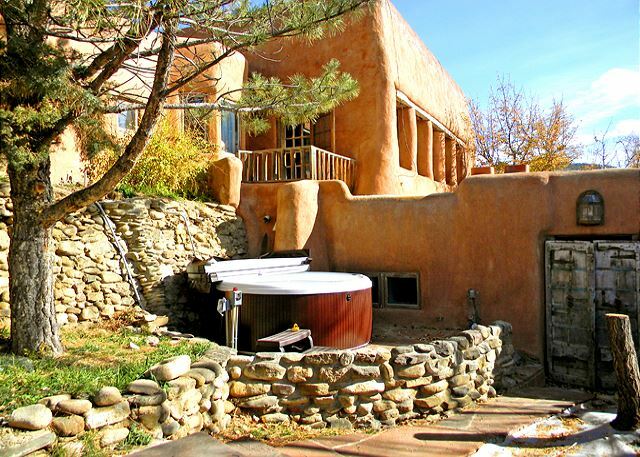 For additional relaxation, guests can walk outside from the bedroom and round the corner to a semi enclosed patio nook overlooking the walled courtyard with shared hot tub. This enclosed patio nook has a roof for added comfort and shelter from sun and rain. 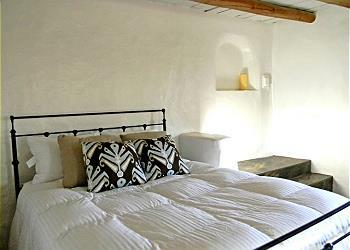 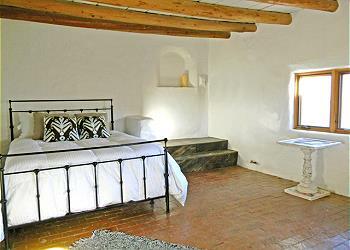 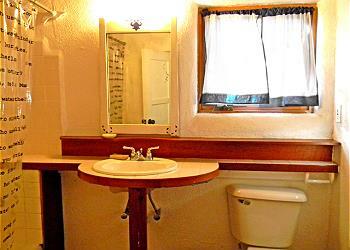 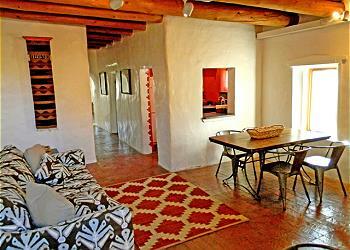 Located just 5 miles south of Taos Village and 6 miles north of Taos Country club and 9 miles north of the Rio Grande del Norte National Monument, Adobe Hacienda Cabin is an authentic historic casita allowing guests to experience true historic adobe living from the early days of Taos, New Mexico.